Today’s post is the first in a four-part series that will focus on various stages of college alumni. This week we want to look at college seniors and how current alumni can help them – as well as how they can start planning now for their soon-to-be roles and alums themselves. 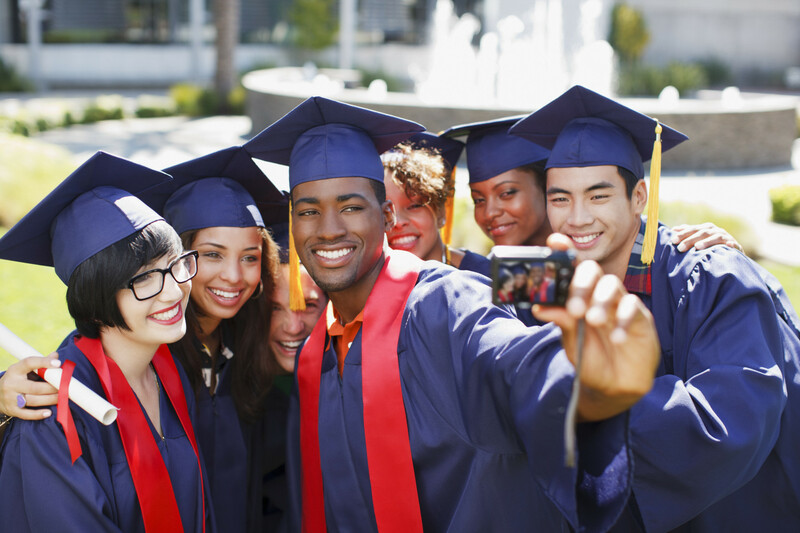 Scholarship Money – Many alumni associations have scholarship programs for students. Through fundraisers and donations, money is often awarded to students for stellar academic performance. Internships – Alumni and alumni associations can get current students in touch with businesses who offer internships that aren’t readily advertised. This enables the student and the company a chance to take a “test-drive” to learn more about their likes, dislikes, and compatibility. Early Career Networking/Job Opportunities – By contacting alumni early, students can get a jump-start on job hunting. Alumni associations and career services offices can often provide lists of alumni, including where they live and work. Reaching out to alumni can often lead to part-time jobs while still in school, as well as provide students with job opportunities not posted to the general public. Being Part of a Talent Pool – Many alumni are also part of one or more talent pool databases. This keeps them connected with companies and communities so they stay in the loop when new job opportunities arise. Alumni can help guide students in joining worthwhile, relevant talent pools. Alumni connections are often more important and useful than many students realize. So you really need to start leveraging them. Start with your campus resources. This is part of what your tuition pays for after all. Go to the associations or offices that interest you to explain what you want or just hear what alumni opportunities are available. If you get a list of appropriate alumni to contact, don’t hesitate to reach out to them. Even in the age of social media, meeting face-to-face is still a popular option. It’s great to actually get together with someone over lunch and have a true social experience. So, if you connect with local alumni, try for the more personal, in-person get together whenever it’s possible. That being said, obviously, social media is the easiest way to build connections. In fact, most schools have alumni groups or networks on Facebook, LinkedIn and Google +. Students can start building relationships with alumni now so they’ve established ties they can reach out to upon graduation and beyond. Career Services Offices are also very helpful in connecting students with alumni who are employed in companies that have internships available. This connection can help students get noticed rather than allowing them to disappear into the sea of applicants. It also gives students a chance to get the true inside scoop on what it’s like to work for the company. Many schools also offer on-campus events that alumni attend to help with everything from interview tips to mentoring programs. Be sure to attend these events when they come up. In addition to the subject matter, it’s just a great way to meet and work with your school’s alumni. And, remember, as you seek out alumni-related resources and begin making your connections, it’s also important to think about what you’ll be able to offer when you become an alumnus. Giving back in the form of donations is always encouraged and is a good way to show that you you’ve benefited from alumni connections. But you can also show support by being active in setting up and participating in alumni events. Alumni can help you make connections, share their expertise and experiences, and aid you in understanding what it takes to be successful in your field. The time to start building these relationships is now. For information on how we work with career services and alumni associations, as well as how to join a good talent pool, call us at 415-835-0202 or email us at sales@talentcircles.com. Numerous graduated class are additionally a portion of one or more ability pool databases. This keeps them associated with organizations and groups so they stay tuned in when new openings for work emerge. Graduated class can control understudies in joining beneficial, applicable ability pools.The airport advertising in Kanpur proposes exciting exposure open doors at primary spots over all terminals, together with very much respected point of reference, computerized plans, and dynamic standing destinations.